Maxi-Cosi is not exactly a company. It is a brand name alongside Safety 1st and Cosco, one of several brand names Dorel Industries owns under the Dorel Juvenile banner. Dorel Industries is a fairly new company that emerged back in 1962. They debuted with Cosco in 1988 and came up with Maxi-Cosi in 1994. Dorel (and, by proxy, its sub-branches) is a company whose main strength is gained in innovation, diversity and, of course, quality. While most good brands can readily claim that their own products’ strength lies in quality as well, innovation and product diversity in the pivotal key to their development strategy. It helps to stay ahead, as well as to increase cross-selling, cross-marketing and opportunities in general. 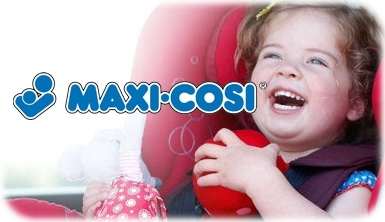 Maxi-Cosi is a perfect example of how a brand’s name describes what the brand is all about. Indeed, Maxi-Cosi’s car seats are most definitely cozy. Smart and caring: this is the motto of Maxi-Cosi. The staff at Maxi-Cosi realizes that it is very important to pay attention to what the parents need and expect. It wonderful when a child car seat meets government standard and is safe to use, but what parents think is just as important. As it has been stated above, this is their motto. And let us tell you something: it is entirely justified. 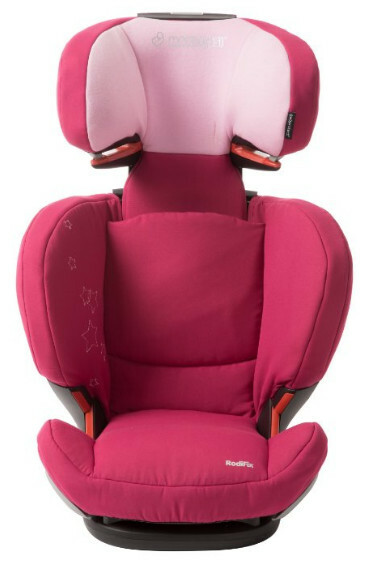 Maxi-Cosi car seats are designed to solve typical problems parent have, and that includes the fact they are easy to use. Naturally, they are also quite pleasant to the touch, comfortable for the child in general and have a very nice exterior. What is no less important is that Maxi-Cosi car seats have been developed with environmental issues in mind. 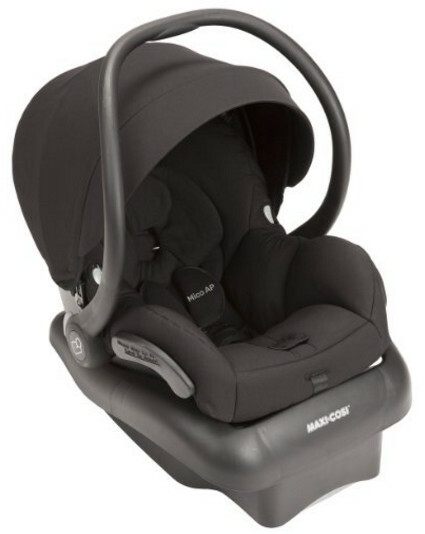 Maxi-Cosi car seats are made so that the parents could enjoy being parents. That is why the make some of the safest car seats that are very easy to click onto the base or the stroller or the car seat base. Therefore, along with car seats, many supplementary products are made, already mentioned strollers and car seat bases being a good example. This car seat’s unique feature is that it is a perfect choice for small cars. It is not as narrow as some other car seats, but it is not very long either, and that is really important. Even though it is no car bed, the Pria 70 can accommodate underweight children. Keep in mind, though, that medically fragile children require to lie properly and a reclined position can actually be dangerous to their health. Therefore, this seat is no substitute to a real car bed unless your child’s doctor says otherwise. As for the uppermost limit, the Pria 70 is suitable for children up to 70 lbs. It is a convertible seat that can be used either in rear-facing or forward facing mode. In the rear facing mode, it is good for children from 4 to 40 lbs, from 22 to 70 lbs in forward-facing mode. Do note that such weight limits are not typical for toddler seats. The 70 lbs is actually comparable to the upper limit for booster seats. Much like other Maxi-Cosi seats, the Pria 70 comes with advanced Air Protect side impact protection. For the baby’s convenience, the seat is equipped with a gripping cup holder. To sum it all up, the Pria 70 is a car seat for small cars. It is slightly expensive but only barely so. It is a very safe car seat. 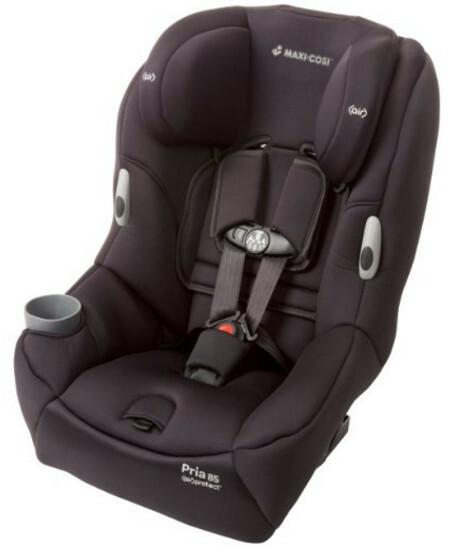 The Pria 85 is a premium convertible car seat. As such, it is, first of all, an item of style and status, if we don’t count the safety which is always put first when car seats are concerned. Nevertheless, the concept of this particular car seat revolves around comfort and convenience. The seat is easy to clean, it is designed in a way that would prevent it from taking up all the free space and allow installing an extra seat. This is not a seat meat for little infants. The lower weight limit is 14 lbs which is quite a number in and of itself. On the other hand, the upper limit is 85 lbs. As you can probably see, the “85” in the seat’s name stands for the upper weight limit. It should be obvious that this seat is only meant for healthy and heavy babies. But its main strength lies in its forward-facing mode. The uppermost limit of 85 lbs is the same as some booster seat. That means that, with any lack, things will never come to actually using a booster. It is quite possible that you can discard the seat after your child hits the weight limit and they could use the adult seatbelt without a belt-positioning booster. Naturally, the seat comes with Air Protect advanced side impact cushion protection. The head is especially well-protected. The car seat is also very easy to clean, enough that the manufacturer proudly calls it the easiest to. The seat’s price is very high, but it is certainly worth it. The Vello 65 has even lesser a weight limit. However, while that may be regrettable, it still is standard for convertible car seats everywhere: from 9 to 40 lbs in rear-facing mode, from 22 to 65 lbs in forward facing mode. Please note that the lower limit is not 4 or 5 pounds but 9. Make sure your child’s weight is sufficient before using this seat. Otherwise, it is very similar to the Pria car seats, complete with the advanced Air Protect side impact protection system and crash energy management. The seat is very easy to clean as well. One of the differences is that an infant insert can be installed to transport small babies, even though the starting point is 9 lbs. It may be not quite as important but it still matters. However, the main difference is that the seat is designed for extra convenience. It comes complete with a soft touch cup holder and dual compartment container for snacks and other things. 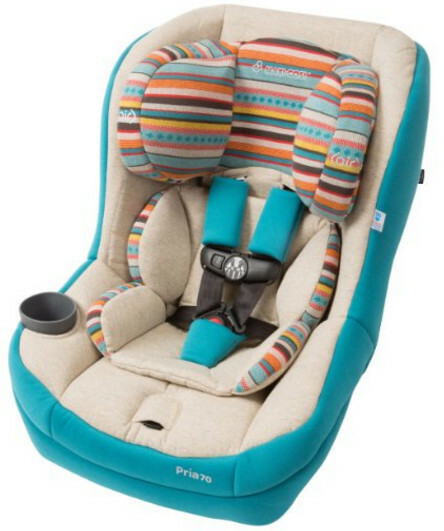 All in all, this seat is a perfect example of a standard Maxi-Cosi car seat with extra storage options. However, unlike the seats in the Pria product line, the Vello 65 is not an expensive seat, it would only cost you a moderate sum of money. Much like any Maxi-Cosi car seat, the Mico AP is perfect for car seat travel system construction. Since Dorel’s and especially Maxi-Cosi’s policy practically revolves around cross-marketing, it is only natural. Now, the Mico AP is a perfect example of this. 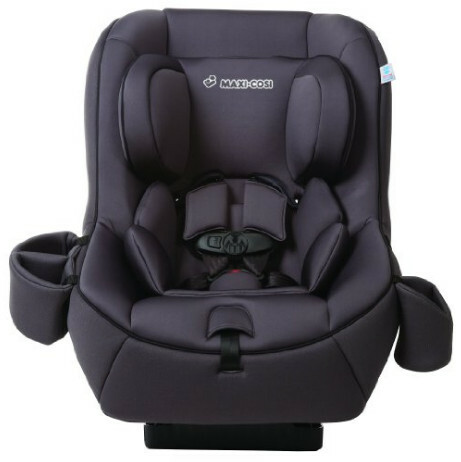 Compatible with other Maxi-Cosi products, the seat is the lightest in its class. 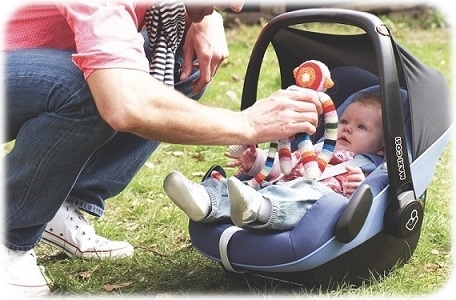 Which makes it an ideal choice for a travel system, more so than even other Maxi-Cosi seats. The Mico AP comes with self-wicking fabrics that help to keep the child dry and help with deodorizing. It is a rear-facing seat only. The Mico AP can accommodate children between 5 and 22 lbs, under 29 inches in height. The seat comes with advanced side impact protection known as Air Protect. The designers have made their best to keep the head of the baby well-protected. However, the seat is quite narrow. That may be considered a boon since several of these seats can be installed in a row, however, that also means that the baby might be uncomfortable in the seat because of how little of unoccupied space will be available to them. The convenience of the little passengers has not been forgotten either. The seat comes with a multi-position sun canopy, and the parent’s convenience has been addressed as well. The handle is ergonomic, the seat pad is easy to remove and clean, even without removing the harness. The seat would cost you more than average, The Mico AP is very safe. It has been designed as a one-purpose seat, yet it is compatible with multiple products. While Maxi-Cosi does make perfect convertible and infant seats, the booster is not out of the competition, as we can see. In fact, it trumps the other car seats Maxi-Cosi produces. It, too, is equipped with the Air Protect system. But it also comes with IsoFix and RodiFix technologies that facilitate installing the seat immensely without making the seat look ugly. The position of the headrest can be easily adjusted. The side wings are expanded and can be adjusted to fit your child, too. The weight limits are quite extended. The seat can accommodate children between 30 and 120 lbs. Therefore, it is quite possible to jump from an infant seat straight to this booster and use it until the child grows up enough. Nevertheless, we do not recommend that even though it is possible technically. It would be for the best if the child had some prior experience with either a regular toddler car seat or a convertible seat. But if you are convinced and confident this would be safe and better for your child, then you can do so. The seat has been estimated as a Best Bet according to the IIHS Evaluation. Aside from the already impressive safety features, the seat comes with some extra ones, although they are meant for comfort and convenience. They include the recline system, locking shoulder belt guides and premium fabrics that can easily be removed for cleaning purposes. The seat would cost you much more than average but that is a very good price for a booster like that.